HENRY HAS MADE THE HEADLINES DOWN UNDER! HIKING WITH INFANTS AND TODDLERS! Beginning with that day you first held the newest member of your family, you began to celebrate each miraculous moment: first smile, first word, first step. For those of us who love the outdoors, another milepost beckons: first hike. There’s no one right answer as to when, though many would urge that you get out there “as early as possible.” Parenting a newborn is a stressful endeavor, and fresh parents and fresh air can work wonders. Keep them dry, warm and fed: That seemingly kid-perfect spot becomes a miserable place when your child’s most basic needs aren’t met. Children simply aren’t as resilient as adults—even kids who never seem to whine. When they’re warm dry and full, though, kids possess explorer superpowers. Keep them hydrated and cool: This is really an extension of the tip above. The ideal drinking container, bottle or reservoir, varies with age; for cooling help when it’s hot out, a spray bottle is handy for ages kid through adult. Triple-check the gear list: Family essentials, like a favorite snack, are only part of the picture. Until your child is old enough to be self-sufficient, it falls squarely on you to ensure your group has all of the Ten Essentials. Watch the weather: Nasty conditions can make things uncomfortable, scary or even dangerous for kids, so layer up and be ready to head for home if skies turn dark and stormy. Rediscover your inner child: For kids, it truly is the journey, not the destination. Remind yourself of that, then explore with them, one mini marvel at a time. This stage might more correctly be called “infant packing,” because how you carry your child is your first decision. Hauling a bambino along also affects other essentials you take, as well as destinations you select. The choice here isn’t between you and your spouse, it’s front sling vs. backpack, either of which should adjust to fit each parent. Kids need to be swaddled in front until roughly 6 months before graduating to a backpack-style carrier. Read Child Carriers: How to Choose to learn when baby is ready and what features to consider. Get your child used to a new child carrier before hitting the trail. The hiking motion puts most kids to sleep, so hit the trail at naptime to avoid messing with your baby’s sleep cycle. Ease into things by limiting first hikes to a couple of hours; be wary of cold, wind and rain, too, because babies aren’t great at regulating body temperature yet. Cover your baby with a sun hat that has a brim broad enough to cover the neck. If your baby is formula fed, then the powdered form saves weight. Pack along a separate clean bottle used only to give extra water. Pack plenty of diapers, and enough waste bags to double-seal them when you carry all your soiled diapers out again. You’re now entering the half carry/half hike years, so adaptability is key. Toddlers want to toddle, so plan on lots of breaks to let them explore small areas in great detail. A brightly colored, creature-covered, kid-size water bottle encourages drinking. You don’t need boots for a toddler; sneakers are fine. Pack extra socks, though, because puddles beckon and dry feet matter. Kids love having gear of their own, so get your toddler a small pack to carry something lightweight like a jacket. Always be aware of how far you are from the trailhead because even the unstoppable toddler can tire out and need carrying all the way back. When your toddler is riding along, look for relatively flat, hazard-free areas where you can turn them loose. Embrace dirt because your toddler will; only change to the spare clothes when you absolutely have to. The child carrier has now been retired and you have yourself a full-fledged hiker. This is when you open up the guidebook and lay down the safety rules. If you have a preschooler (ages 3–5), your child can still ride in the carrier until reaching about 40 pounds. After that, they too are ready to become the big kid on the trail. When kids first start to hike on their own two feet, the rule is "always stay within sight of Mom or Dad." After the kids have been hiking with you for a few years, the rule can change to "hike ahead for short stretches, then stop and wait until you see Mom and Dad again." Also: "Never hike past a trail sign." Kids must carry a safety whistle (many packs have them built into a strap buckle). Kids must know what to do when lost: Stop, stay put and blow the whistle in bursts of three. Rather than peaks or views, think about destinations with kid-size fun: where they can skip rocks or clamber onto boulders, for example. Involve them in the planning and preparation: everything from picking their trail to packing their pack. This is a great age to let kids switch from a water bottle to a reservoir; your child is strong enough to carry one and most kids love to sip on the run. Kids bore quickly, so be creative to keep things fun: Spot blazes on trees, count squirrels, sing songs and make up verses, hold twig races in creeks. Geocaching is another great option for keeping kids engaged; or go low tech and incorporate a scavenger hunt into your hike. For slowpoke kids: Employ lots of mini destinations, like a giant tree or a mossy rock, where they get a snack break. Bring along a friend and get double the fun. Having non-sibling friends along keeps the energy up and cuts down on the complaining. Teach kids Leave No Trace rules early on; then see how long it takes for them to “catch you” messing up. Teach kids map reading early on: Start with something simple like a nature-trail map; when they’re older get them their own topo maps. WILD. are accredited Mountain Skills providers with Mountaineering Ireland. personal equipment such as correct clothing and emergency equipment. of route cards, night navigation, scrambling, mountain rescue and emergency procedures. Group discount available for 3 or more people. If you have never wild camped before then make this your first time! Why not start the new year by experiencing something different! Wild camping is camping away from a recognised campsite, high up in the mountains of Connemara. We provide you with the camping gear, teach you the skills needed, such as collecting water, cooking on a camping stove and ensuring you leave without a trace of your visit. The rewards of having carried your kit up the mountain, been self-sufficient and felt part of the majestic landscape around you are immense and well worth the extra effort required. Go to sleep listening to the silence of the mountains and wake up to see the sun rise over the distant peaks. We provide all the camping equipment (which is suitable for the cooler temperature) and you will be accompanied by a fully qualified guide. "I really enjoyed escaping from the modern world for 48 hours and being self reliant. I particularly enjoyed waking up and seeing the mist over the top of the mountains at 6am, and knowing that we had a full day of exhilarating walking ahead. Wild Camping now ranks in my Top 5 memorable trips!" **ROCK CLIMBING** on 6th of March. We are offering a full day & Half introduction to rock climbing session in the beautiful Burren, Co Clare. Experience the thrill of rock climbing and abseiling. No previous experience needed! - abseiling with lots and lots of rock climbing! Group discount available for 3 or more! ... Let us know what you think? All the footage was shot in Connemara, Co Galway and the Burren, Co Clare. The video depicts how our brand and idea evolved! PRE EXPEDITION TRAINING IN CONNEMARA. We know that travelling overseas can be daunting, especially if it is your first time on an expedition. Therefore we have designed a pre expedition training two day program that can be tailored to your trek or expedition. Depending on your trip requirements you may spend two days trekking, one night wild camping in remote mountain conditions that are similar to those that you will experience on your planned excursions. This will be a great opportunity to really get to know your fellow travelers and you will also get to try out the equipment you have bought to take on your trek or expedition, and break in those boots! This is ideal for those groups with very little experience of outdoor environments. This would also be for groups that may require a little more team bonding. It will demonstrate the level of fitness that is required, and help you to be much better prepared both mentally and physically. It will also help to make you even more excited about what you will be doing in the field, and enable you to get the most out of your expedition. The pre expedition training program is flexible according to your group's aims, ambitions and destination. The following topics will be covered during the training program in order to make life on the trek or expedition that little bit easier! - Acclimatisation - Symptoms and Treatment of Altitude Illness. The field days will be run as a safe, fun, outdoor experience. Our educators are qualified Mountain Leaders with relevant insurance and are certified in First Aid. Prices may vary depending on the training requirements. For a two day trekking and overnight wild camping experience, prices are as follows. WILD. 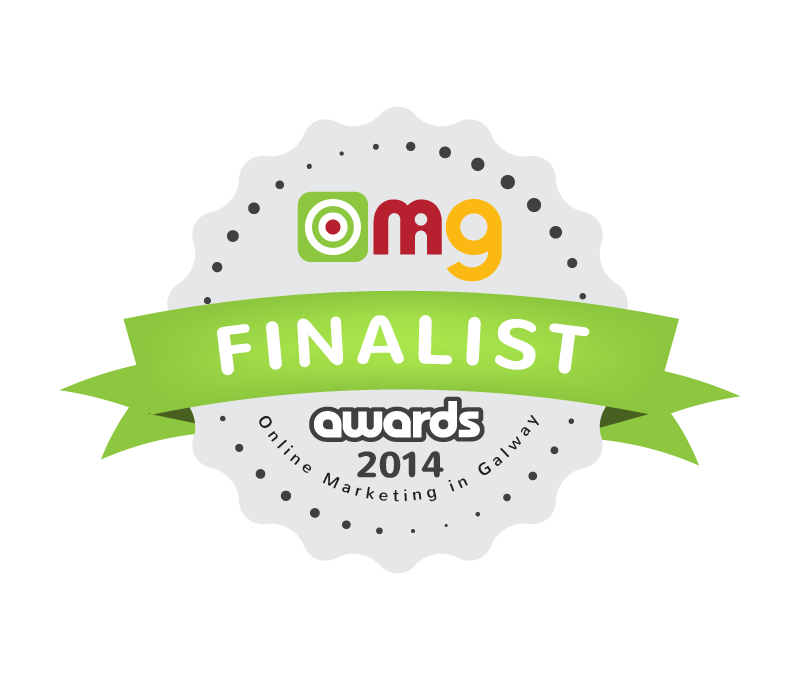 ARE NOW FINALISTS IN THE OMiG AWARDS!! business forward both in 2013 and beyond. The Winners for each category will be announced at the Awards Show itself on Tuesday 22nd April, 2014. The Connemara Journal published a short editorial on WILD. in last months paper. “ WILD.” is a new exciting innovative Irish business that is based in Connemara, Co Galway. They specialise expedition training, guided hill walking and rock climbing. They tailor all their trips to suit the aims, abilities and ambitions of their clients. “WILD.” promotes human development in a natural wild environment. The business ethos is about being spontaneous, adventurous and inspired. The aim is to reconnect people to the natural landscape and deliver an "out of your comfort zone" experience. “WILD.” intends to work closely with local hospitalities and services to promote and complement each others business in order to make adventure tourism in the west of Ireland a success. Michelle Casey and Henry Wilkinson are a unique team who both share a passion for the outdoors. They bring to the business “WILD.” both educational insight and "real life" experience, as well as being highly qualified in their field. Both Michelle and Henry are accredited Mountain Skills providers with Mountaineering Ireland. “WILD.” will be running Mountain Skills Courses 1 & 2 from August 2013 onwards. Our program “100% WILD” is aimed at young adults in transition year involved in the Gaisce Award scheme. of scientific concepts through fun, adventure, and education. are environmental educators that make learning safe and fun. the requirements of the Gaisce Award. Please note that our program can be tailored to suit the aims, ambitions and abilities of the transition year students. CONNECT WITH US ON SOCIAL NETWORKING MEDIA!
" IT IS NOT THE MOUNTAIN WE CONQUER, BUT OURSELVES "
Why not join us hill walking in Connemara and be accompanied by a local experienced Mountain Leader. We can facilitate all your needs and objectives whether it is to improve navigation in the mountain environment, learning how to plan a walk and identify a safe route, techniques to use (i.e. hand railing). Our guides can provide you with a knowledgeable and informative experience on the mountains. Nothing beats the sheer freedom of walking in the hills and breathing in the fresh air whilst taking in the views of the magnificent scenery that is surrounding you. Hill walking will make you fitter faster as it tends to be a much more rigorous cardiovascular exercise than walking on the flat. Apart from the physical, the therapeutic benefit and the relief of stress are incalculable and certainly should not be underestimated. During this Easter weekend 2013, why not go “WILD.” and explore some of the Irish mountains in Connemara! WILD. offer a comprehensive range of guided mountain walks covering the mountain uplands of Ireland. We customise full-day, half-day or multi-day hill walks to suit you and your groups' fitness, abilities and ambitions. The weather is predicted good for this weekend. Why not make the most of it and be adventurous? Enjoy a birds eye view of what Connemara has to offer and take a scenic journey in the mountains. who will insure to make your experience an informative and safe one. countrywide initiative so it will only be as great as the people who lead it. has made the sweeping expanse of mountains and coastline between Roundstone and Ballyconneely their home. If the eagles decide to stay and have a family they could put added life into tourism in Connemara as well. They have come west again as a result of a programme started five years ago to restore the majestic species to Ireland. However, the National Parks and Wildlife Service have kept quiet about the descent of the eagles on Connemara. Lough Beltra in Co Mayo had a high level of poison in its body and also had pellet wounds. metres or 10 feet when they go into flight.White tailed eagles can be about 3 feet in length and over 15 pounds in weight. Sources in the NPWS say it is difficult to spot them in the large area of mountain and seashore in west Connemara. This project is supported by the European Agricultural Fund for Rural Development – Europe investing in rural areas.